The U.S. 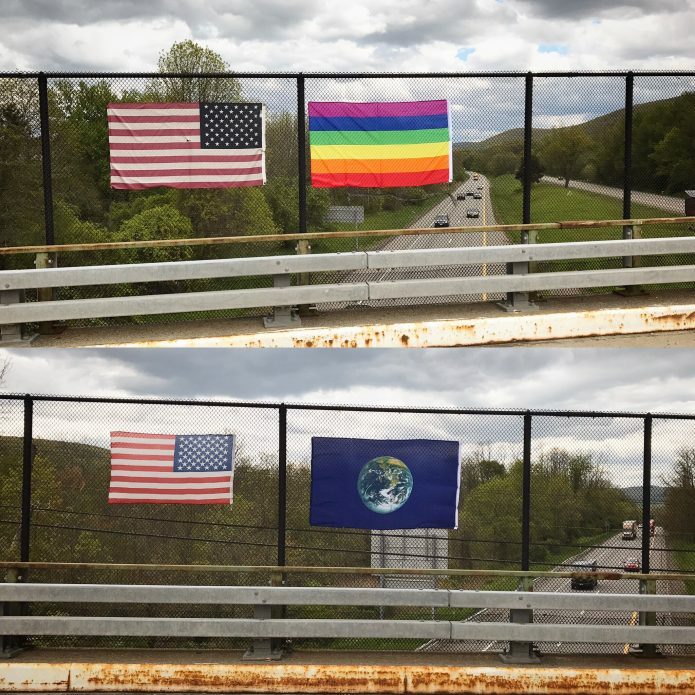 Flag looked so lonely on the overpass, so we added some more. These flags are not costly or difficult to find. I encourage you to consider doing this yourself.